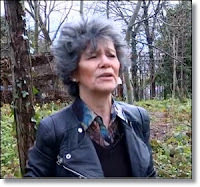 Was Marina Chapman Really Brought Up By Monkeys? Marina Chapman says she isn't as mobile as she once was. It's not so easy to climb trees these days, let alone swing from them. Well, she is about 60 or 62 years old – maybe older. She's not sure. Chapman is tiny, sinewy, bendy. At times she doesn't look quite human – a bit simian, a bit feline and quite beautiful. Perhaps it's not surprising that Marina Chapman seems different from the rest of us. In her formative years, she says, she grew up with monkeys. Only monkeys. For around five years (again, she's unsure – there is no reliable means of measuring) she says she lived deep in the Colombian jungle with no human company. She remembers learning to fend for herself – eating berries and roots, nabbing bananas dropped by the monkeys, sleeping in holes in trees and walking on all fours. By the time she was rescued by hunters, she says, she had lost her language completely. And that's when life really got tough. She claims she was sold into a brothel in the city of Cúcuta, lived as a street urchin and was enslaved by a mafia family, before being saved by a neighbour and eventually moving to Bradford, Yorkshire. Which is where we find her today. To read more on this story, click here: Was Marina Chapman Really Brought Up By Monkeys? You may be interested in reading: Woman Says She Was Raised by Monkeys - Daughter Helps Share Her Incredible Story. Does Your Puppy Have Swimming Puppy Syndrome? Did You Know that Apes Get Mid-Life Crisis? Why Does My Cat Pee on My Bed? Animal Hoarding – What Do You Think? Can Cats And Dogs Really Live Together? Are You Feeding Your Dog Table Food? Dog Food Recalls: Is Your Brand on the List? Cat Food Recalls: Is Your Brand on the List? Black Cats - Do They Get a Bad Rap? Do Not Buy from Puppy Mills – A Must Read! Why Does My Cat Kick Litter Out of Her Box?